Airport Direct Car is the superior Heathrow To Southampton taxi service specialists which are providing reliable, prompt and punctual to and from services to all the major airports such as Luton, Stansted, Gatwick, Heathrow and London city airport. We are providing a dependable, safe and efficient taxi services to and from all the major airports and seaports. Furthermore, we have late-model vehicles which give you a high level of safety and comfort throughout your transit. We use saloons, executive saloons, MPVs and MPVs plus for your seaport and airport transfer. For business travellers, we offer them a perfect mode of travel so they can arrive relaxed, right on time and in style. 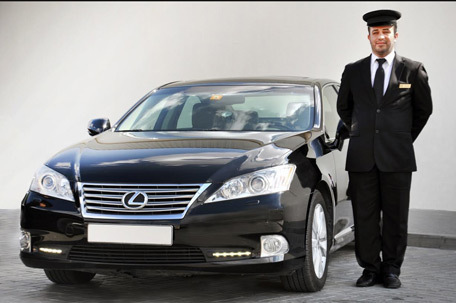 We are specialised in airport and seaport transfer service Airport Direct Car has been moving people around the UK for over many decades, making us one of the most reliable and trustable professionals that stood the stand of time. Knowledgeable, courteous, smart and friendly is the correct way to describe our drivers. Our drivers have adequate knowledge about the routes, streets and patterns of the city, as they always take secure paths so you can safely arrive at your destination. They follow all the traffic rules and regulation to avoid accidents and mishaps. Whether you are travelling for leisure or business, you can count on us. Regardless, we are offering an excellent Stansted airport transfer services, as we believe in establishing a long-term relationship with our client. We track all your flights in order to reach on the right terminal and ensure that you don’t have to wait for us. Once you book our services, you can be assure of comfortable, stress and hassle-free voyage. We offer you competitive rates, reliable, convenient and professional taxi services and airport transfers to and from all the major airports within the UK. Moreover, our professional drivers keep our clients safe until they reach at their final destination. Airport Direct Car offers you the simplest and easiest booking methods with secure payment. You need to enter your pick-up and drop-off location, select the cars you need to travel, the number of passengers you are going with and also provide a few pieces of information. We send you a confirmation email with further information or instructions. However, we give you the guarantee that your drivers are waiting for you at your specific pick-up destination. Whether you are travelling locally or internationally, Airport Direct Car provide you with professional and skilful drivers, competitive rates and highest quality services that all our clients deserve. Booking an airport transfer from Airport Direct Car is more than just services, it is an incredible experience. So we are ready to go, whenever you are prepared to travel! We have spent many years in the industry to make your journey as smooth and stress-free as possible. So whenever you require an airport transfer service, Airport Direct Car is always here to help you to fulfil all your transport your transportation needs. No matter what your requirements are, the Airport Direct Car is still here for you. Our expert team provide you with the same exceptional services consistently which help us in expanding our business in the UK every day. Moreover, we go the extra mile for our clients to meet their exceeding expectations. By hiring our Heathrow To Southampton taxi service, you don’t need to worry about anything such as driving, parking and traffic as well. Our phone lines are open 24/7 for our valuable clients so that they can make their reservations at +44 208 090 2995. To ask queries or to discuss your concerns call our customer care team or send us a message via email.